Sma5h is going to have a huge presence at E3 this year lead by another Invitational Tournament for the new game like they did last time. 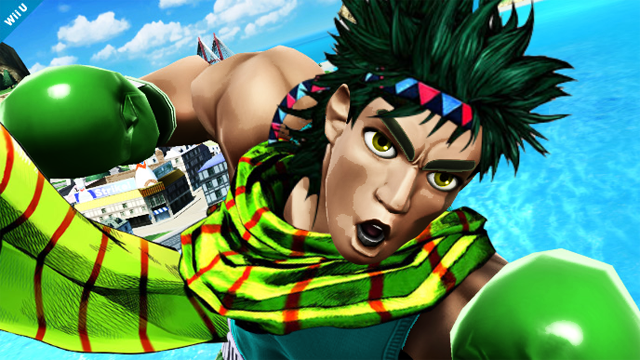 So, knowing there is going to be a playable build of this game this June now has me thinking a lot about how this game is being developed in comparison to prior Smash titles. Also more specifically, what that means for the content and the character roster. I think there's a few things we can figure out about the game that might change how a lot of us are approaching predictions and stuff like roster additions and cuts. First, I'm fairly certain this is going to be a "New" game and I put New in quotes like that for a reason. I don't think we're getting a straight up port because the trailer we got was just a teaser with no gameplay footage and a working title. The Switch has gotten MANY first party Nintendo Ports. Mario Kart 8, Pokken Tournament, Tropical Freeze, Hyrule Warriors, Bayonetta, etc. and so far every single one of those debuted with a Gameplay trailer and were identified as ports of the original version. I mean, if it's a port so basically the core game is already finished, why NOT include some gameplay? I think we do have a "New" game but I'm pretty sure they're doing something they haven't done before. If we factor in the time they spent making DLC, the Turnaround time for this is relatively short for a Smash game and we have also been promised it THIS Year and again, playable build in June for a tournament. I think what we're going to get here is them reusing an engine for the first time in the series' history... Which I actually really like. Part of the reason there's such a divide between the Melee purists and everyone else is that for some reason Sakurai thinks they need to reinvent the wheel each time so they make a brand new engine with new physics from scratch for each game. That's why every single Smash Game feels different from one another. I think this time they're not going to do that. I think they're going to use the Sm4sh engine, upgrade the graphical engine, and then add enough content for the game to qualify as a sequel rather than a port. Honestly? I REALLY hope I'm right about this. I'm tired of the fanbase infighting that happens each time a new Smash Comes out. There's always going to be the Melee Purists who will never let it go, but I think the vast majority is happy with how Sm4sh plays. It gets good tournament play. It's well balanced. It's excellent. If I'm right, it's going to make the logic behind character cuts drastically different. If they are reusing the engine, that means they could in theory carry over the ENTIRE roster wholesale without any cuts if they wanted. So I think honestly, any cuts we are getting are going to be more towards balancing and tightening the roster rather than compromises made due to development time. The original 12 are a lock. I don't think they're ever going to be cut. Bowser - Unique moveset, iconic villain which the game needs more of, been in since Melee, His silhouette was easily discernable in the trailer. Honestly, I think this is enough to classify him as a lock actually. Zelda - Same reasons as Peach. Can see her getting a revamp to fit BotW style. Marth - He's kindof the defacto mascot of Fire Emblem at this point. Mr. Game & Watch - Unique moveset, major part of the company's history, been in since Melee. Sheik - I'm sure she's coming back in some form, just not sure if they'll re-merge her with Zelda or keep her stand-alone but she's another Melee Alum I don't think they'll cut. Toon Link - I can easily see him staying, especially if Link gets his moveset changed due to BoTW. King Dedede - He's one of Sakurai's babies. Sakurai Voices him. He's back. Metaknight and Palutena - I want to say they're as much a sure-thing as Pit or Dedede but out of the 4, I'd say these two are the more likely to be cut. 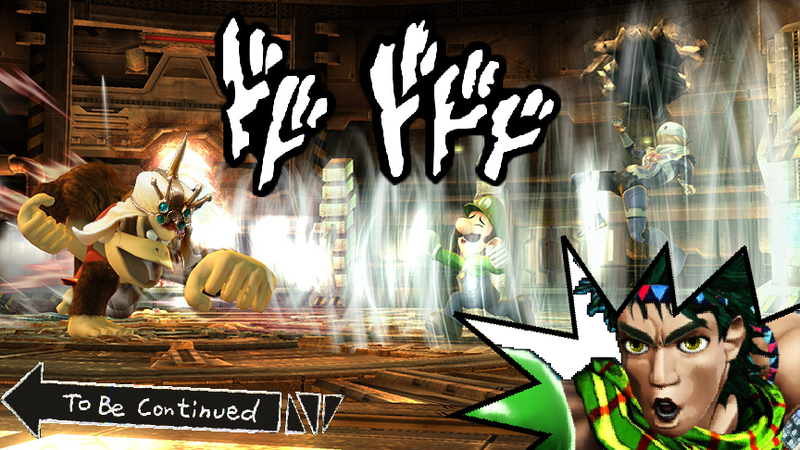 Palutena needs better default specials though. 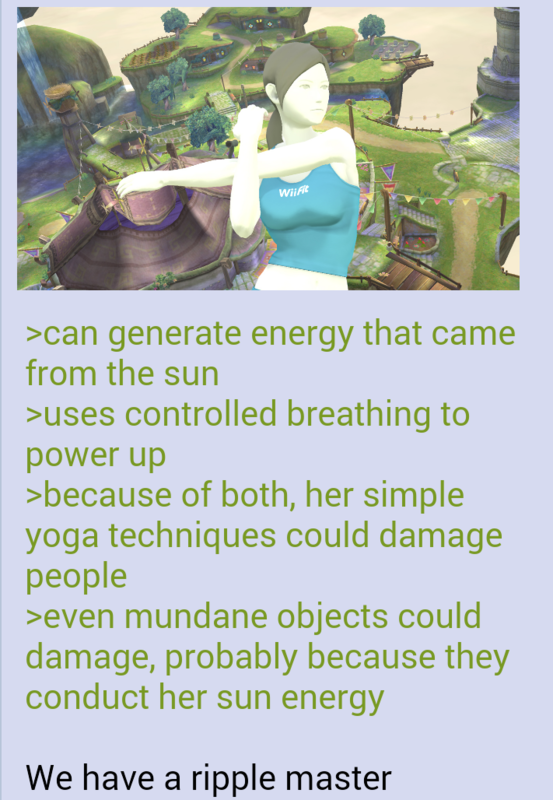 Zero Suit Samus - Pretty unique moveset, losing her would lose a Metroid rep, and she's super popular. Only question is whether or not they keep her a separate character or re-merge her with OG Samus. Ike - He's appreciably different from Marth, and Sakurai apparently likes him some Anime Sword people so I think he'll be fine. Villager - Super unique character, only Animal Crossing rep and that franchise is huge now. Seems a no-brainer to keep him. Ice Climbers - I think they're fairly safe. They've been a series staple since Melee in every game including Sm4sh. They were developed for Sm4sh, but got cut due to the 3DS' power. I think they're a shoe-in to be re-added now that it isn't a factor. Clones (Dr. Mario, Lucina, Dark Pit, Roy, Pichu) - Clones are filler to begin with so they'll be first on the chopping block if they aren't needed. 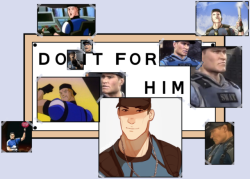 Holding a bit of hope out for Roy though. I like how he plays better than Marth. He was de-cloned in Sm4sh somewhat and they apparently knew he was loved enough to sell him as DLC, so maybe? Pokémon Trainer/Squirtle/Ivysaur - Not sure on this one. It was a neat concept for the character and we know he was cut due to the 3DS power issue... not sure here but since he was on the chopping block before, I don't know if he'll be maintained here, at least in this form. Maybe new version with the Alolan starters? Wolf - He was cut before with no technical or logistical problem we know of why, no reason to believe they'll prioritize him coming up. Shulk - Fairly certain they'll swap him out for the Xenoblade Chronicles 2 Protagonist. Not sure this is the kind of franchise they'll spend 2 character slots on, but maybe. These guys are a bit of a wild card which is why they get their own category. Since they need agreements from other companies to happen, so these can easily fall apart separate from anything else. I want to say Bayonetta is safe since Platinum is basically a 2nd party studio now and they have an upcoming game for her to promote, so I think it's a smart move for them to keep her. Also Sonic to a lesser extent. Sega has a god relationship with Ninty now and so far he's the only 3rd party character who has been in multiple games here. Also, if Bandai-Namco is still involved in development, Pac-Man is a lock. But we don't really know that yet so not sure. Snake is never coming back because Konami is awful these days. I REALLY want Mega Man back and since he's got Mega Man 11 coming up and it's on the Switch, I'm hoping that helps Capcom decide to keep him. Ryu I could take or leave but I think if Mega Man is in, Ryu is coming back too. Everyone else is a toss-up. I have no reason I can think of why they'd be kept, but no real clear ideas why they'd be cut either. I suspect a bunch of them will still be in though. 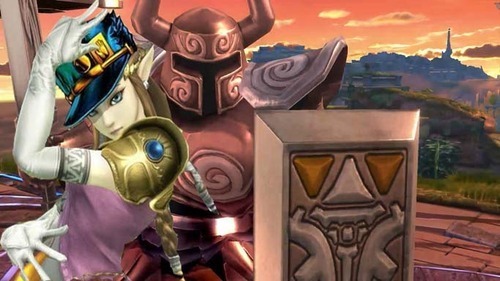 Hoping he gets a new Final Smash based on Calamity Ganon too. OOOOH! For Brawl, they had the Twilight Princess designers design a look for Sheik that matched Twilight Princess since she wasn't actually in that game. What are the chances that they'll do the same for Sheik and Ganondorf this time in the BotW style?! *I REALLY think Bowser's Shilouette makes him a lock. Starfy is technically a Marioverse character. To make Shulk's moveset work with Rex they would have to put in like 5 "partners" or blades to represent the style change of the monado. The main two of the game are a lock, but one is the default and the other is the "power" or "smash" one. As much as I'd love to see clones relegated to alt skins, I personally have an issue with losing Doc Mario. Ive hated the Fludd gameplay of standard Mario since Brawl, and Dr. has retained enough of his older moveset to satisfy me. In all honesty, I'm ready for Jigglypuff to be dropped. Original 12 be damned. Jigglypuff being dropped would get some outrage, I think (from me as well). Especially considering how much people wanted her to be buffed so badly from Sm4sh. Can they not just put him in the same slot as Mario as a set of alternate costumes (much like Wario and his classic getup) but keep the moveset differences when selecting him? I don't know how all of this works technically, but if he was in the same slot as Mario it would make me feel a lot better about his inclusion. I really hope that Lucina doesn't get axed entirely. I really like her, but understand that not only is FE over-represented but her time in the spotlight is also over. Please use alternate costumes wisely so we don't have to lose characters like her entirely, Sakurai! I don't see why we wouldn't get both Shulk and Rex playable. We got what, six Fire Emblem characters? 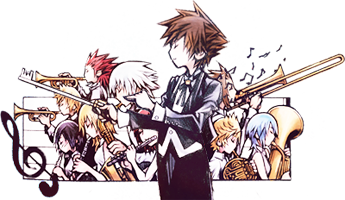 We can have two Xenoblade ones. Plenty to differentiate them too. Xenoblade is actually a semi big deal for Nintendo now. That said I hope X gets some love too. If not a playable Elma or Lin than at least a stage. Was answering Rin, she didn't see the need for two xenoblade characters. Oh yes I know, I was just adding on. Sorry about the questionable quoting lol. Anyway in general I actually doubt there will be very many roster cuts, and even then most of the cuts will just wind up as paid DLC. I mean, they charged people for Roy. Roy. I honestly think, at this point, we may have a Fire, Water, and Grass in the form of Charizard, Greninja, and Rowlet/Decidueye. Rowlet is the most popular Pokemon from polls concerning Sun/Moon. Given the gimmick in Xenoblade 2 is three blades per character, I would imagine a moveset based on that. It also helps for this that Pyra/Mythra has three personalities. Alternatively, you can have Pyra, Mythra and BladeNia, and the final smash involves Pythra/Myra. Or you could have Mòrag and her sweet hat. Last edited by y2kyle89; March 23rd, 2018 at 02:11 AM. Reason: Maybe Brighid acts as a Stand, Jojo-style? 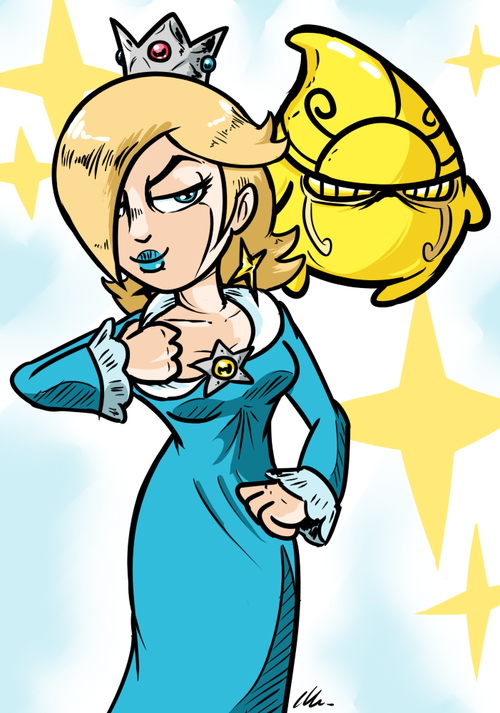 Rosalina is already the Jojo Character of the game. 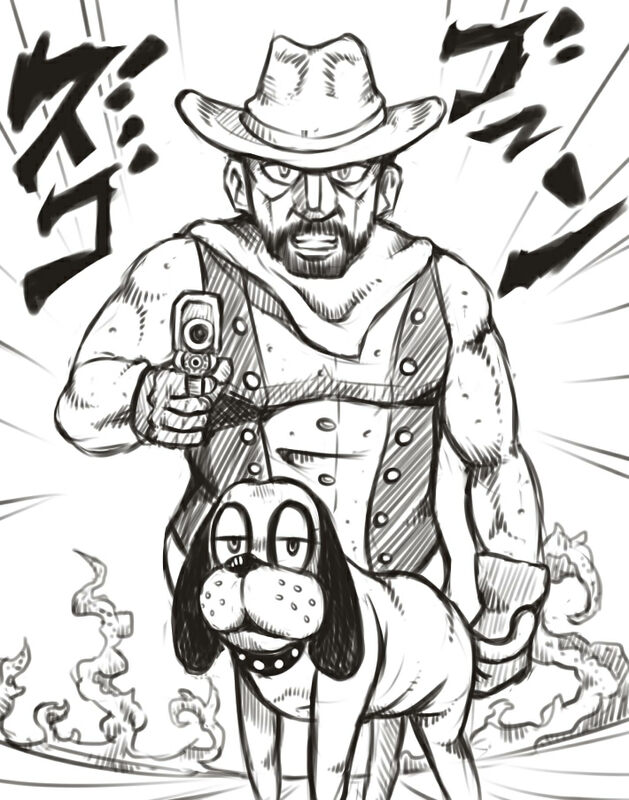 You're saying more Jojo is a bad thing? Nevah! But is joylene time. Are you.. a bot? They are evolving.